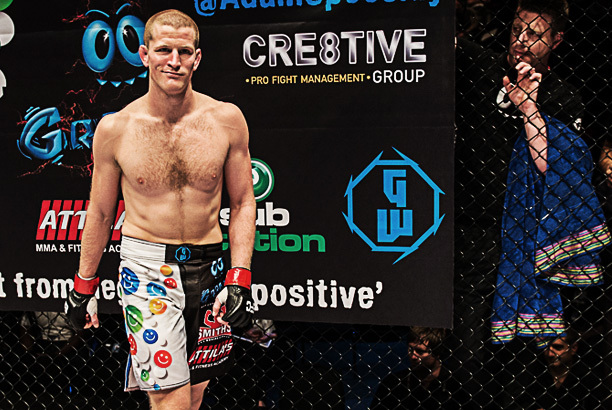 Johannesburg (South Africa) – Today it was announced that Adam ‘The Prodigy’ Speechly will undergo surgery for a fractured cheekbone sustained in his EFC AFRICA 19 bout against Martin ‘The Punisher’ Van Staden. For Speechly the injury brings an unwelcome two month maximum no contact rest period, but also the chance to reflect on an incredible return to the Hexagon. Speechly, once the welterweight champion until his loss to Dallas Jakobi at EFC AFRICA 10, has made a stunning return to the division. His victory over Van Staden, himself at that point the official number one contender, has put him back within reaching distance of a title shot. Ever humble, Speechly has a more subdued take on the subject. Speechly admits that his loss to Ioannou had a huge effect on him personally, prompting a shift in his outlook as well as a much needed break in order to refocus. EFC AFRICA for providing me with this this great opportunity, my coaches Attila Barna and Peter Smith, all my teammates (you know who you are) for their help and support in getting me ready for this fight. A big thanks goes out to my sponsors GRRANA Energy and Gigawear, thank you for helping me share my message! To all my friends, family and supporters, thank you for your unwavering faith and belief in me, especially my parents, who have supported me, stood by me and allowed me to live my dream!